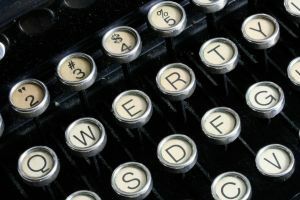 It seems to me I am taking longer and longer in between posts on my blog, so although I rarely make New Years Resolutions, maybe I need one regarding my blogging. Also I have changed the theme to a simpler design and added a plug-in that should be better at caching the pages on both my blogs. The Akismet logo showing how many spam comments had been blocked has also been disabled as a friend noticed this was slowing the loading of the site as well. Akismet itself is still enabled though. I am in the middle of a few posts, and hopefully within a week or so should have some more stuff posted here. That may seem to be a big statement, and I have only had the Slingbox a week or two and wouldn’t want to get rid of it now. So what is the Slingbox?? It’s a device that can stream your TV over local network and the internet, even on a PDA or phone (mobile software costs £20 currently). Cable or Satellite boxes?? No problem. DVD, Video, Hardisk Players/Recorders?? No problem. Why did I choose the Slingbox?? I purchased a Video Sender prior to this and as operated on 2.4GHz interence was caused by my Wifi. Also couldn’t change channels as VirginMedia (ex-Telewest) remote uses IRDA signals. It soon went back to the shop I purchased it from and eBayed a Buy-It-Now Slingbox Classic for £75.00. Bargain. 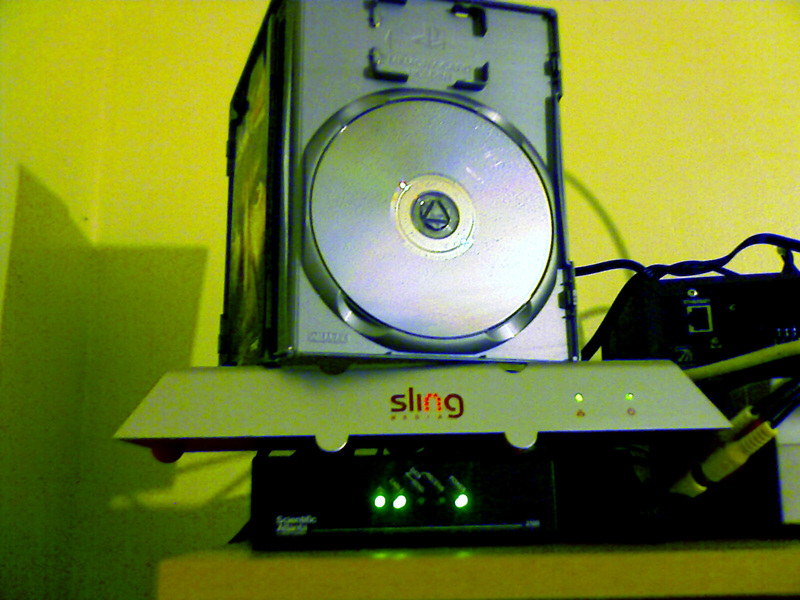 The photo is of my Slingbox in situ with a DVD temporarily above it to show it’s size. I currently have a Cable Box and DVD player connected (although one cable for sound has to be manually changed if I switch via the software), and a Digital TV freeview antenna. If you have local network at home, Cat5 or Wifi, I would advise to look at the Slingbox as a seriously cool Gadget. Visit the Slingmedia home page www.slingmedia.com. Before the other 2 admins (Peter M3PHP & James MØBOV) blog about it, I am going to mention first. It’s free to join and although only a few days old membership is growing with Amateurs from UK, USA, Scandinavia and more. We are open to suggestion about needed sections and adding some extra features soon to improve how it works, but will mainly be a forum. So point your browser over to the forum and get involved. Wow, Last Friday 31st August, I had a bad day (well in the evening at least). I have written a blog post but can’t post it yet as is on my PDA. Check back shortly. I will not have major internet access until at least Friday 7th September, please avoid sending any messages or emails until this time. Thanks! Paul. To start this story I would say I used Flipping in the title, but for the fact I don’t who may read this I would have used a different word. So on Friday where this story begins I am having lunch chatting to my friend well aware they are knocking down the buildings next door. I try filming a little but when I start filming the machine operator starts clearing up, so I delete the video and continue chatting to my friend. At the end of lunch I check phone for messages and then put it into standby when back at my desk. This is at 13:00. I finish work at 16:30 & head to pub for couple of ciders before heading to Radio Club. When I sit down at pub waiting for colleagues to show up I check my phone. Oh dear. It’s off. Turn it on and them when at today screen I find 1% only left. But why? I think back and it dawns on me that I must have left the camera on (but not as a friend suggested recording the inside of my drawer). Two more ciders later I head off to the Radio Club and get home about 11pm. I am barely in the door and my Mum is saying that the cable TV box wasnâ€™t working. I asked if she had unplugged and plugged back in. This had been done. As I was tired from work I say I will look into it and head up to my room. Computer is switched on and I load up my TV program. Oh Dear. Looks like the upstairs Cable box is down. Will just check my email and look at the problem in the morning. Restart the Modem. Same thing. This is not looking good. Sod waiting for tomorrow I am on the phone to Virgin Media straight away. The person who answered the phone said he was aware of problems in the neighboring town and would log my call. I head off to bed. In the morning when I eventually am up I start computer and check modem. There is the same lack of activity lights. After 9 phone calls to Virgin I finally get them to concede there is a problem, get a 2 engineers booked (1 for TV and 1 for Broadband) a Â£25 rebate and refund on the premium rate calls I had made (Yes calls to the Broadband line are 25p per minute). I was also put on the standby list for cancelled engineers & got them to activate dial-up as a stand-by measure. At this stage I decide to look at the cable coming into the house. I thought that as there are 2 separate cables between the upstairs and downstairs the problem had to be outside of my house. The cables near the house were fine. Then as I walk up the garden path, the horror as I realise that FM Conway are digging up the pavement. They have upon removing the top layer somehow cut the coax bringing my lovely TV and Broadband into the house. I am back on the phone to Virgin to get this note added to the engineerâ€™s orders. This was written day after my problems started but posted 2 weeks later as couldn’t get text to blog before this time. It's been 14 years, 8 months, 0 weeks, 4 days, 5 hours and 19 minutes since I gave up smoking. I've not smoked 45893 Cigarettes nor spent £15,259.42. EXC.